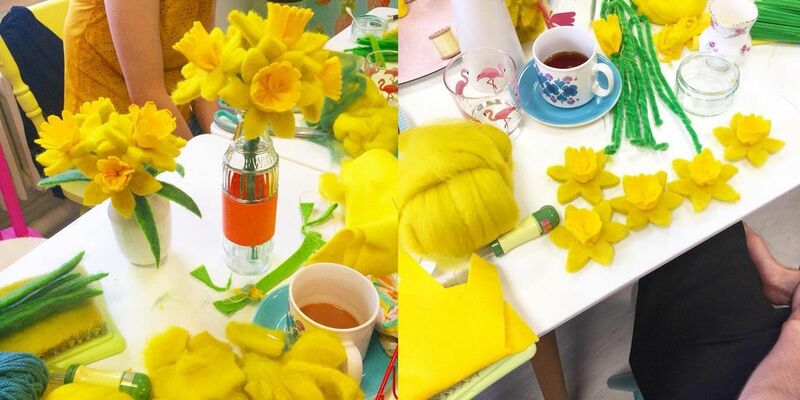 This course covers all dry felt making basics, and allows you to complete a beautiful 3D felted daffodil bouquet. 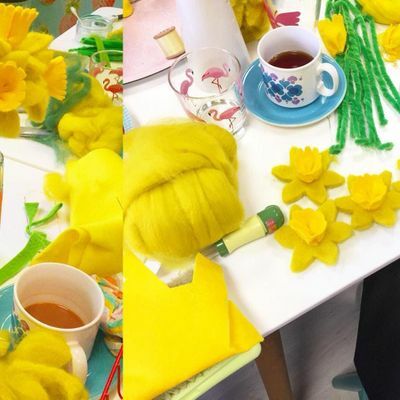 Learn to needle felt sculpturally and also decoratively with a barbed felting needle, a clover punch tool and mat, and super soft merino wool tops. You will also get the opportunity to use my special embellisher machine!